Not many environments are quite as ripe for the spread of germs as schools. By definition, the classroom conditions put dozens, hundreds or even thousands of children, teenagers or young adults in close quarters. Students breathe the same air, touch the same surfaces and share the same colds, flu or other illnesses. Few settings require more thorough cleaning services in the way that educational settings do. It used to be that schools, day care centres, universities and other educational organisations had cleaning teams on the payroll. 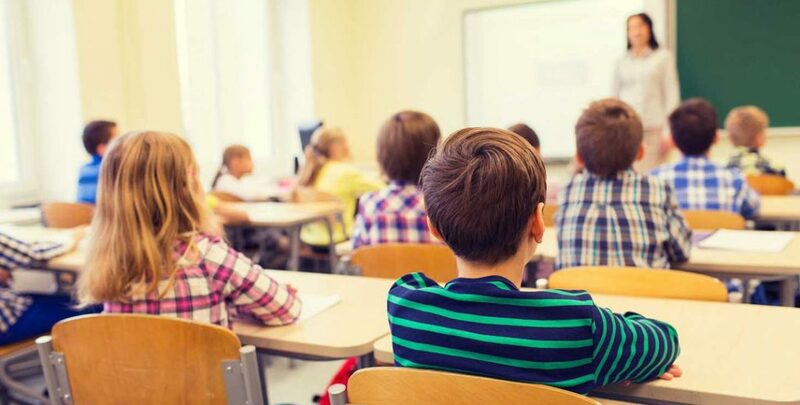 In the 21st century, it has become more common for schools to team up with third-party companies to ensure high-standard cleaning at economical prices. At Jani-King, we are confident in our ability to clean your facility and protect the health of your students. We understand that the stakes are usually higher in educational environments -younger kids often haven’t developed best-practice hygiene habits yet, and kids don’t have the robust, fully-developed immune systems that most adults do. These factors make thorough cleaning doubly important for childcare centres or primary schools. Finally, Jani-King has the flexibility and versatility to handle any educational cleaning arrangement. Our cleaning teams are experienced and dynamic, which means they can quickly shift from cleaning lunchrooms to hallways, bathrooms and sporting facilities. We can also adapt our services to meet the needs of our educational clients. Sometimes, that means just cleaning one school or one childcare facility. A cleaner and healthier environment is safer for students and far more conducive to learning. Work with Jani-King to fight the spread of infections and viruses among your pupils. Contact us today to learn about our education cleaning capabilities.